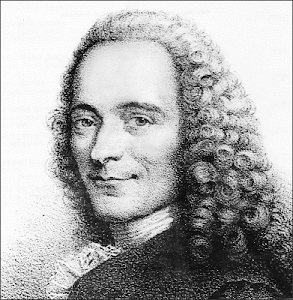 Voltaire's Reviews: What's in the Clouds? A review or two, news, drivel, and other total garbage. Not necessarily dedicated to a specific genre, just so long as my writing it does not conflict with a genre in which I am published, or a competing book. Description: “The first of the Mr Twizzlepip series, What’s in the Clouds? is a fun, rhyming book suitable for children, ages 3 to 6. Join Mr Twizzlepip as he challenges his young readers to guess all the things that he can see in the clouds. Review: This is the first children’s book I have reviewed. Having two boys, I have read to them a fair share of books, so I do have some experience. What’s in the Clouds is a great book to read to your young one, as soon as they are old enough to sit upright and pay attention for a few minutes. The pictures are bright, not too busy, the words large, and there is sufficient spacing. There is a distinctly British appeal to this story, referenced of course in the blurb. I appreciate this different perspective and its ability to showcase a different way of phrasing to kids. It may be a turnoff for Americans, but I don’t think it is anything that detracts from the book. And the style still is in the vein of Eastman, with the short words and interchange between them; by repetition we can learn new words and phraseology. This also drops a few points because of the first and last images of the man in the hat. When I look at it up close, the first image (with his small pupils dead-center in his eye) make him look a little scary and dangerous, as does the very last picture. Because of this, I’m not sure it would be the first book I would grab from the pile at book-reading time. Which is a shame because this is a really great book and kids will really enjoy it. It is a great way of encouraging children to look past the normal and the mundane, and expand their imaginations. Goodkindles - Kindle book reviews, book marketing and promotion for kindle authors.